The top 5 student teams will win a trip to Detroit, MI, to be recognized at NAF Next, NAF’s signature annual conference, for their achievements. Lenovo’s partnership with the NAF brings a robust mobile app development curriculum and delivery program to NAF academies. The Lenovo Scholar Network, now in its fifth year, is designed to provide high school students with an intensive application development program to enable the next generation of developers and entrepreneurs. The Lenovo Scholar Network encourages greater interest among underserved high school students in STEM subjects while providing them with skills to succeed in the 21st century. This year nearly 6,000 NAF students from more than 120 academies across the United States are participating in mobile app develop project. Academies were selected by NAF through a competitive application process. Participating academies are hosting local contests and showcases in early March. Each academy will enter two apps into the national competition. Judges will select the five best apps and the student teams who developed these apps will win a trip to Detroit, Michigan, to be recognized at NAF Next, NAF’s signature annual conference, for their achievements. More information can be found at lenovoscholars.com, including the winning apps from the 2018 cometition. Entries must have been created as part of a Lenovo Scholar Network program using MIT App Inventor. 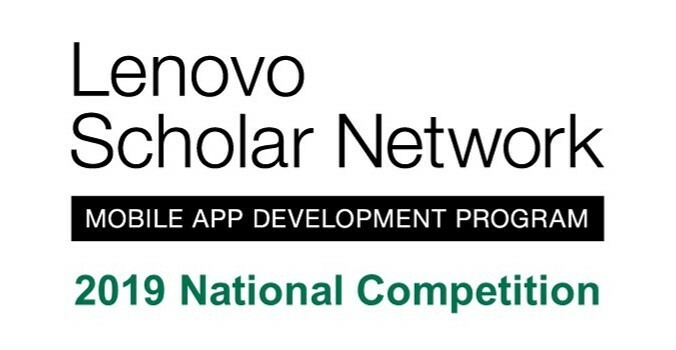 Each NAF academy in the Lenovo Scholar Network may submit two apps to the national competition.